National social care charity Community Integrated Care has achieved its second CQC Outstanding. 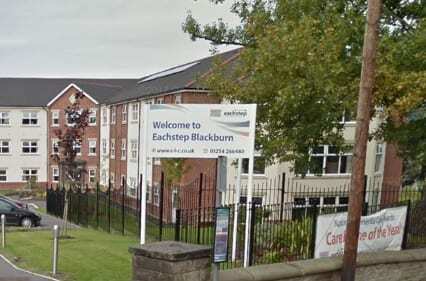 EachStep Blackburn, which provides specialist dementia care for up to 64 people, joined the top 3% of services with the CQC’s top rating following an inspection in August. The team were described as “extremely kind and caring” in the inspection report, often going “above and beyond what might normally be expected of them” to make sure that people were living great lives. The service is led by Phil Benson, who was voted as Best Dementia Care Manager at the National Dementia Awards in 2016. The inspectors commented that Phil “led by example and inspired staff to provide the best possible care” and described how he had used his best practice and knowledge of dementia to continuously improve the service. “I’m so proud of everyone at EachStep Blackburn, it’s been a brilliant team effort to get to this point, and I’m delighted that the whole team gets to share in this moment,” Phil said. Inspectors highlighted the charity’s staff engagement projects, including its Employee of the Month scheme, its Culture Project which aims to transform how it feels to work at Community Integrated Care, a central fund for colleagues facing financial hardship and a seasonal reward and recognition programme. The home was also praised for its exceptional community links with local groups, including colleges, religious groups and arts groups. Debbie Westhead – Deputy Chief Inspector of Adult Social Care, said: “Staff recognised the continuing need to support people individually and worked with them to make sure their needs were met fully. The people we spoke to, and their relatives, all spoke highly of the home and talked about how far the service would go to provide care.